on Friday 25th we have an after school skate , 3.30pm – 7.00pm, (Victoria Halls) for just £10 you can get 2 sessions of skating , a burger, a drink and a chocolate biscuit, there will be a tuck shop for sweetie snacks. At 7.30pm you can go upstairs and watch a movie BFG, entry is free (though a donation is appreciated) and buy cinema snacks. There is a free raffle taking place during the day around the shops, stalls and pop up café, you will see a notice in the window of the participating shops, they each have a minimum spend requirement, these tickets cannot be bought but the more you spend around our lovely shops and stalls the more tickets you will accumulate, list of prizes will be posted tomorrow. The Ballater Christmas lights will be switched on between 6.00pm – 6.30pm following this we ill have a short Carol service around our Beautiful Nativity… and then Mulled Wine , hot drinks and mince pies will be served…until we run out. Description: The popular Scottish Kids Show is back again and is action packed with fun for all the family. With the show being held in November, all children will get the chance to meet Santa Claus and hand deliver their very own Christmas wish list! Christmas delivery and free UK postage on all orders made on the day. The place where “Smart Parents” shop! SAVE up to 90% on quality pre-loved goods! Our market venue is buggy friendly (Lift available) and able to accommodate hundreds of people. The majority of the stall holders will be offering their pre-loved goods for sale; these are complimented by craft stalls offering handmade and unique products. MAKE AN AFTERNOON OF IT If you’re stuck for something to do with the children… pop on down! Many mums get together with their friends and use our events as an excuse to shop and have a good natter/catch-up – a great meeting place! Including yummy treats, great gifts and fantastic offers for the whole family! JUST SOME OF THE PRODUCTS ON SALE AT OUR MARKETS – Pre-loved & DESIGNER Baby & Children’s Clothes – Maternity Wear – Nappies – Changing Stations – Toys – Books – DVD’s – Name Letters – Bikes – Trikes – Safety Gates – Baby Walkers – Baby Swings – Bouncy Chairs – Cots – Beds – Linen – Quilts – Cot Bumper Sets – Playpens – Prams – Buggies – Strollers – Car Seats – Highchairs – Baby Monitors – Outdoor Toys/Activities… and much, much more! Price: Admission is £1.50 – get there early and be prepared to queue! Description: Our next fabulous nearly new sale – a one stop pop up shop for maternity, baby and children’s clothes, equipment, books and toys, is on Saturday 26th November from 11am to 12.30pm at Portlethen Academy. Our sales are a great place to pick up a good quality bargain! And with lots of free parking, chip and pin facilities, and volunteers on hand to help, your shopping experience will be smooth and enjoyable, By visiting and buying from an NCT sale, you are supporting a local charity – so not only are you grabbing a bargain, but doing a good deed at the same time! Description: Come along to our Christmas Fundraiser Fair!! We’ll have lots for all ages…Santa’s Grotto, local business stalls, teas/coffees, home bakes, raffle, bouncy castle, Festive games & craft making, and more. Come along and have a nice afternoon out. Description: Come along and support our Christmas fundraiser! There will be stalls, a visit from Santa, a raffle, a nativity play from the local school and much more! It’s a great opportunity to sponsor an animal for Christmas and buy presents from our gift shop! Description: Join us for a fabulous day of Christmas shopping, we have handbags & scarves, costume jewellery, knitted & crochet gifts, fudge, truffles and biscuits, sterling silver jewellery, pompom hats, crafty gifts, Scentsy candles, cards, custom mugs and Younique cosmetics and skincare plus hot chocolate and a fully stocked craft shop. We also have a postbox for little ones to send their letter to santa (and get a free reply) and as if all that wasn’t enough we are also a collection point for Original fm Christmas appeal. 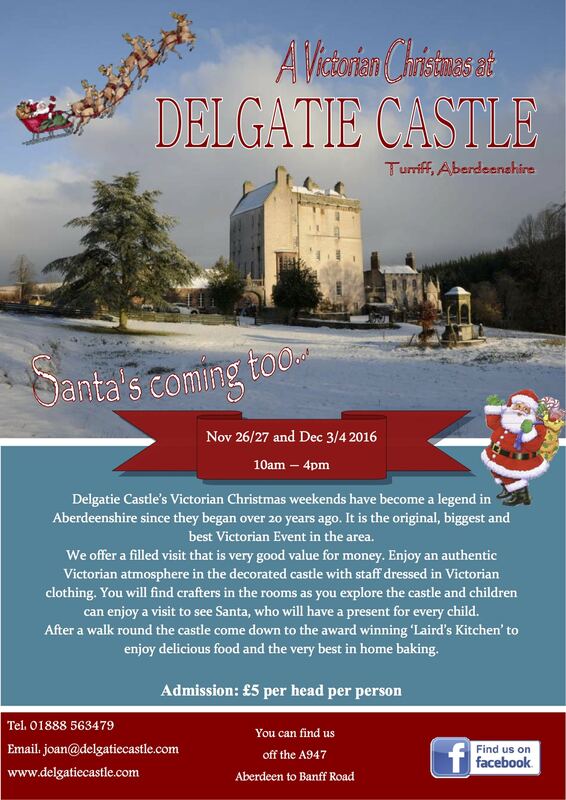 Description: One of the grandest of the Scottish baronial tower houses, Castle Fraser will be all dressed for Christmas and together with a roaring fire and exquisite arts, crafts and food from all corners of Scotland this is a beautiful event not to be missed. Description: Stonehaven Christmas Parade and light switch on. Parade will start from the leisure centre at 4pm and end in the square. Theme this year is Santa’s workshop, so lots of elves, parcels, I’m sure. Keep it bright. If you want to take part contact Chris at Ma Simpson’s or post here. Description: Fill your stockings with the personal touch of something crafty! All the while keeping the kids distracted in Aberdeen’s biggest soft play PlayBarn. Description: Come along and get into the festive mood by making and decorating your very own gingerbread Christmas tree. It will be a fun opportunity to show off your creative skills! There will be some other festive activities too so dig out your Santa hat and we will see you there. Appropriate for all ages and all abilities. Any children must be accompanied by an adult. Price: Suggested donation at the door of £3. Description: Come along to Airyhall Community Centre on Saturday 26th November 2016 from 7pm to 10pm. In the main hall there will be lots of lovely stalls selling gorgeous items – treat yourself or get organised with your Christmas shopping! There will be beauty treatments on offer in the middle room. There will be tea, coffee and cupcakes in the cafe, where you can sit and relax with friends. You are also very welcome to BYOB if you fancy something stronger…it is a Saturday night after all!! 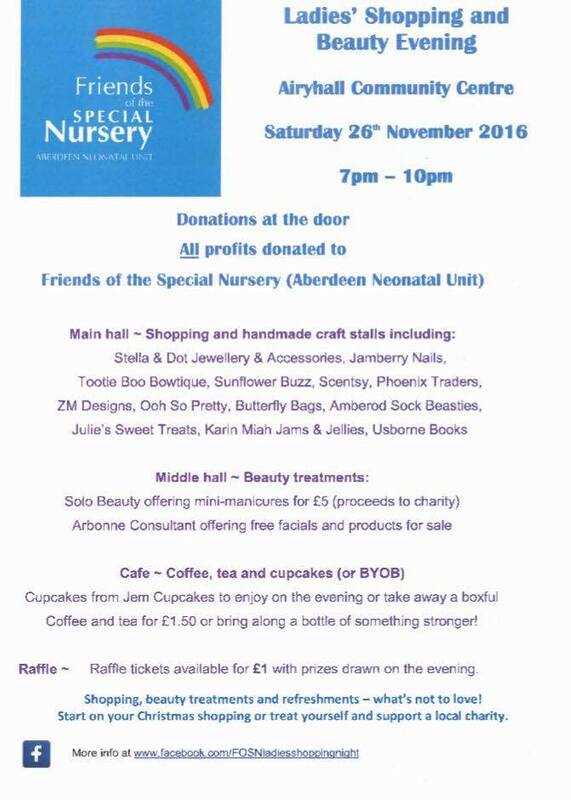 There will also be raffle prizes so bring your purse full on pennies – all money raised is going to Friends of the Special Nursery. Description: The Lord Provost leads the colourful parade from Albyn Place, down Union Street to the Castlegate. This year’s theme is Snow and Ice. At the front of the parade will be Santa’s on scooters, reindeer on Segways, a pipe band then a procession of floats including Santa. Many people will be dressed as festive characters walking along side the floats. Description: Join us on Sunday 27th November to kick off the festive season with The Trinity Centre’s annual Santa & Reindeer Parade with support from Aberdeen Inspired and Aberdeen City Council. Santa and his Reindeer will be in town offering an afternoon full of Christmas magic for kids and adults alike. The fun starts at the Castlegate at 12pm – a host of special guests including Santa’s Reindeer, from The Cairngorm Reindeer Centre, will be there to welcome you! Plus Santa Claus will be handing out free goodies to all children who visit him in the centre after the parade. The fun doesn’t stop there – Pantomime characters, Singers and Dancers from local performing groups will ensure this is an afternoon not to be missed. Description: Dufftown and District Community Association SCIO SC023622 will be hosting another Christmas Extravaganza to coincide with the switch on of the Christmas lights. 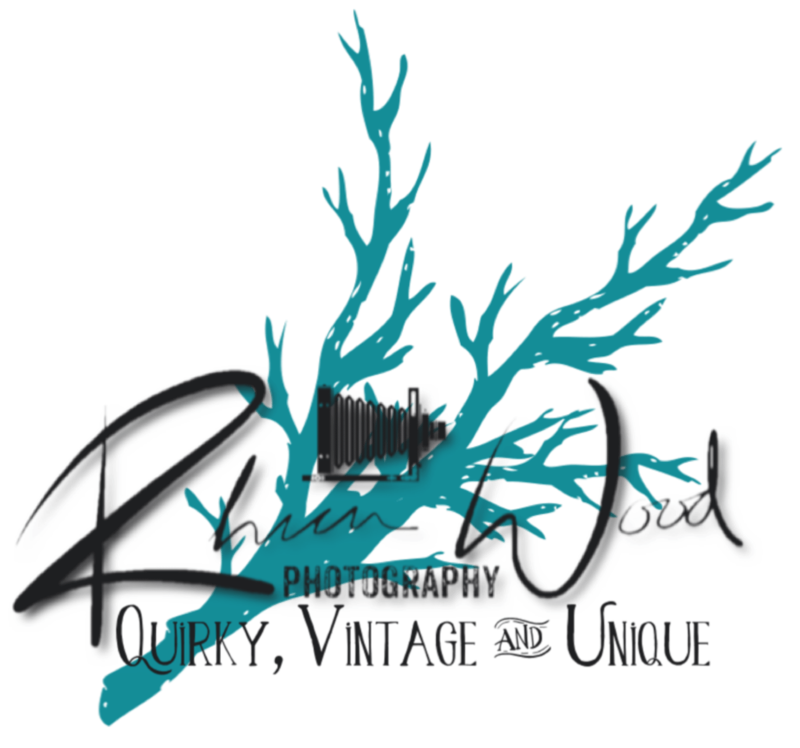 There will be a Christmas market, various entertainment and attractions, Santa’s grotto, food, mulled wine and much more. Come along for a fun afternoon for the whole family.